LG will launch its new flagship smartphone- LG G3 in India on July 25, 2014. This handset features a 5.5-inch Quad HD display with 538ppi and boasts a screen ratio of 76.4 per cent and is powered by 2.5GHz Qualcomm’s Snapdragon 801 quad-core processor. This handset will be available in 16GB and 32GB model versions. Both these smartphones run on Android 4.4.2 KitKat operating system. 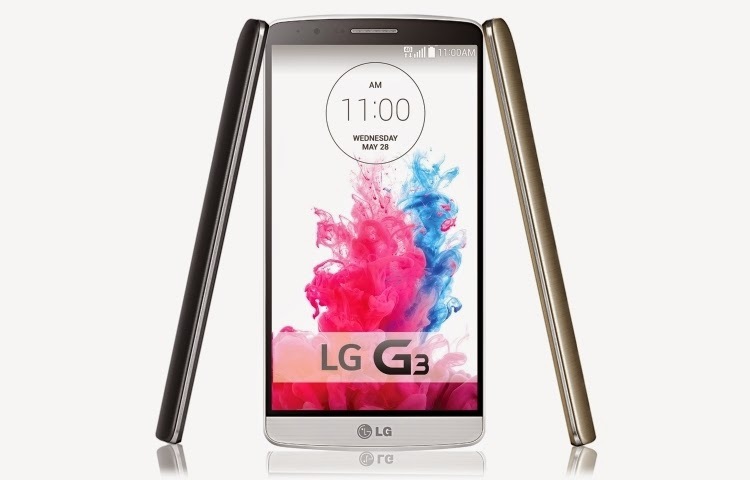 LG G3 sports a 13-mega-pixel rear camera that includes the Laser Auto Focus system. Its 2.1 mega pixel front camera incorporates a larger image sensor and larger aperture for more light throughput; thus helping you in clicking improved selfies. Gesture controls in the standard timed selfie helps you shoot by just moving your hand into a fist and the G3 will recognise the gesture and begin the automatic three-second countdown. This smartphone has a metallic skin on the rear fingerprint-proof cover. The LG G3 is fuelled with 3,000mAh removable battery and 1W speaker. Premium-feel rear cover featuring a brushed, hairline metallic skin that is lightweight and fingerprint-proof. ￭ Floating Arc form factor that incorporates LG’s innovative Rear Key and feels incredibly comfortable in the palm of one hand. ￭ Simple and intuitive UX features including Smart Keyboard which reduces input errors by up to 75 percent by tracking and analyzing users’ typing habits; Smart Notice, a personal assistant application that provides real-time information and notifications even before being asked; Smart Security, a suite of security features including LG’s proprietary Knock CodeTM , Content Lock and Kill Switch. ￭ Premium accessories such as the QuickCircle Case (sold separately) that provide users easy access to six frequently used functions without having to open the cover, as well as a collection of Slim Guard Cases and premium Slim Hard Cases to protect the G3 in the style its original designers had intended.